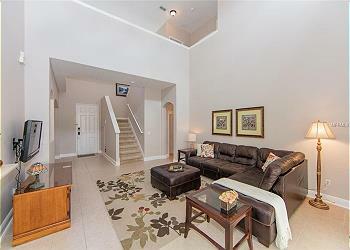 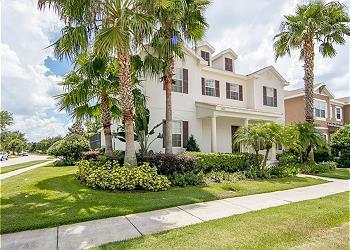 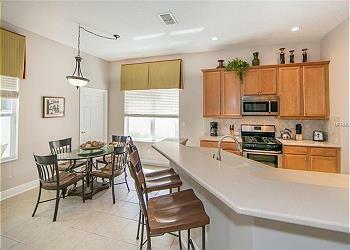 Welcome to the inviting Family Vacation Retreat in the 5 Star Reunion resort only 15 minutes from Disney parks. This spacious home features a main floor king master suite with huge ensuite bath with walk in shower and separate soaker tub. 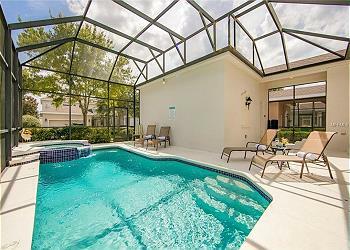 Patio doors from the master lead to the covered lanai and pool area. 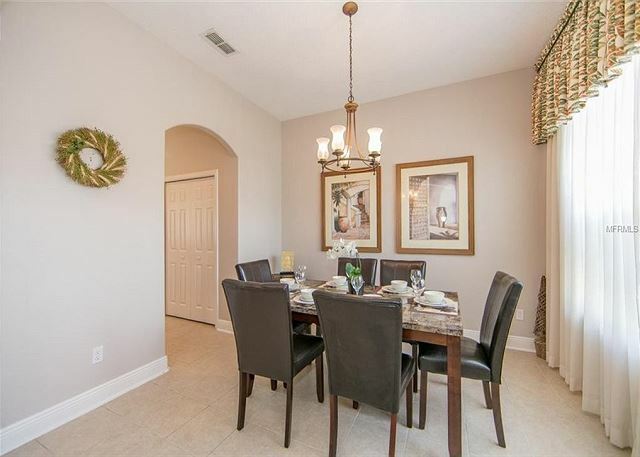 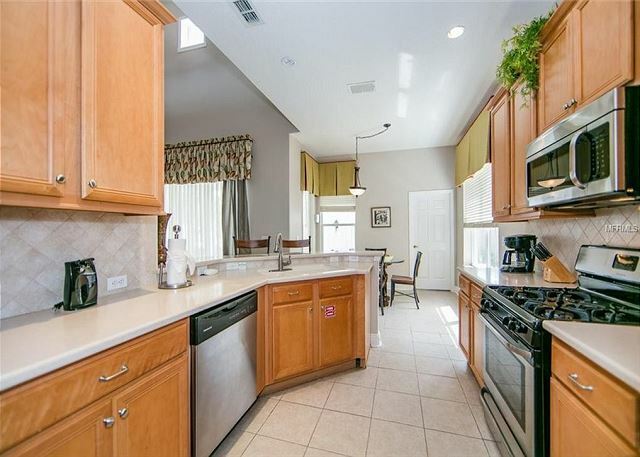 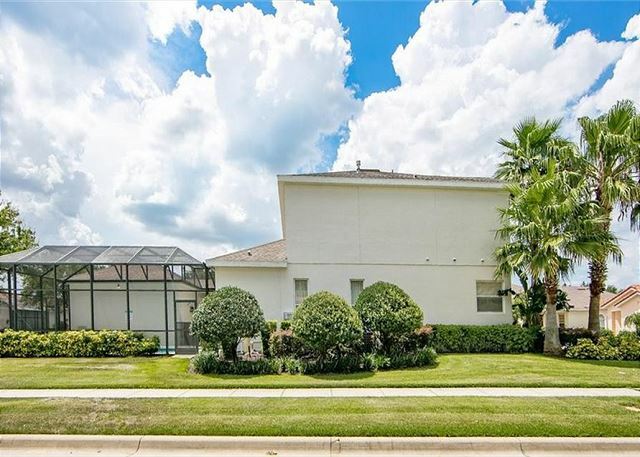 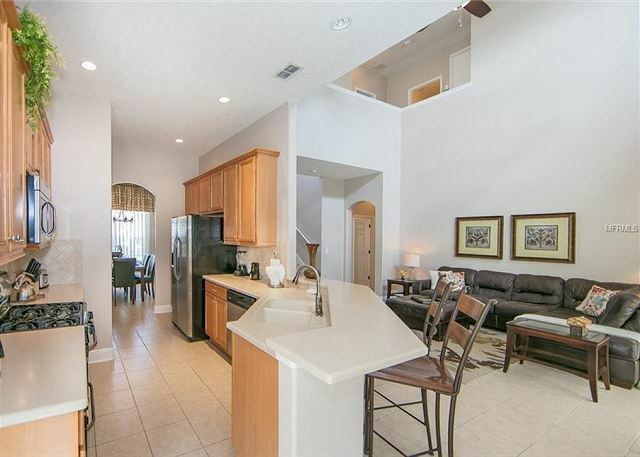 Downstairs you will also find a fully equipped kitchen, breakfast table, separate dining room and large living room with patio doors leading to the lanai and pool area. There is even a breakfast bar with stools to sit and have a quick bite. 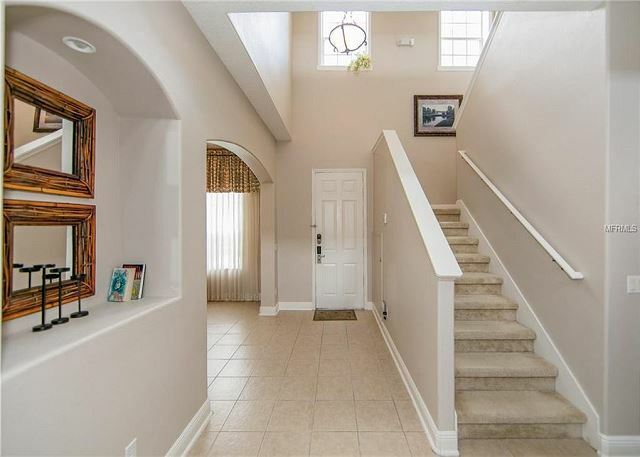 Upstairs you will find a further 4 bedrooms , two on the right side and two on the left of the second floor and a bathroom between at each end between the bedrooms. 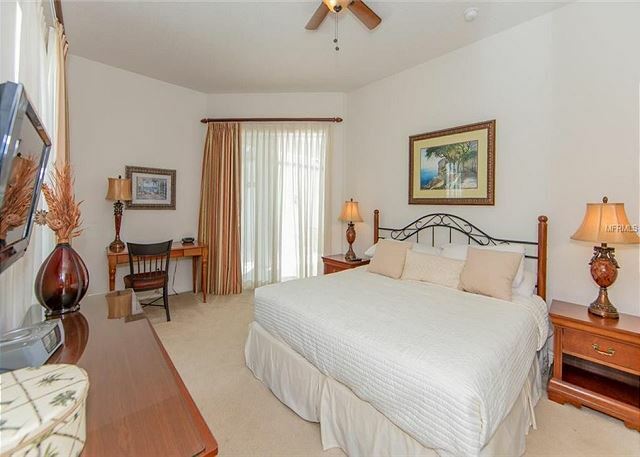 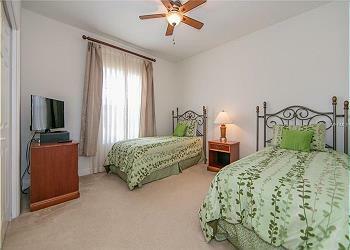 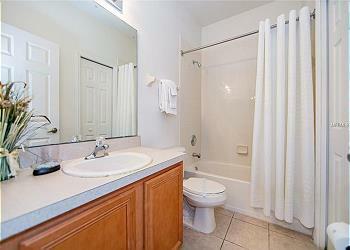 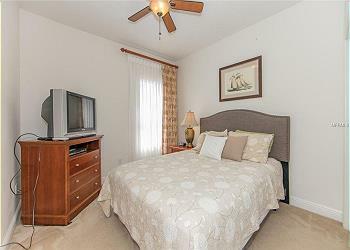 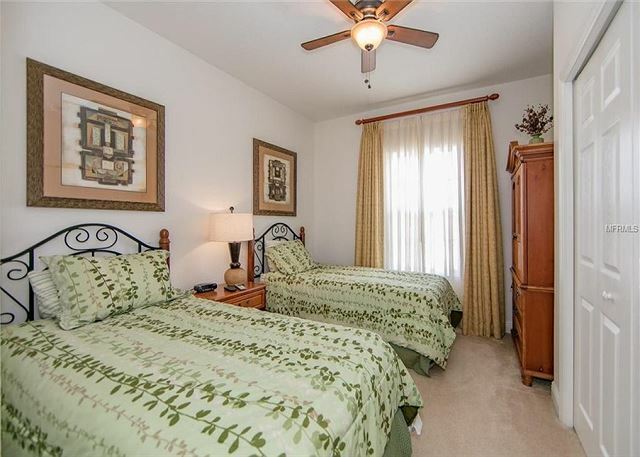 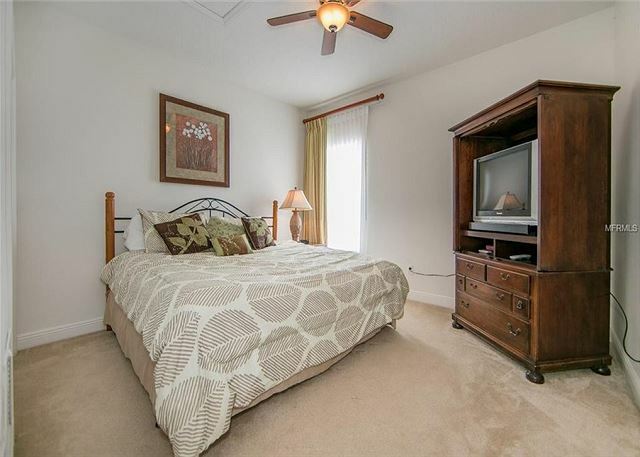 You will find another king bedroom, a queen bedroom and 2 bedrooms with 2 twins in each. 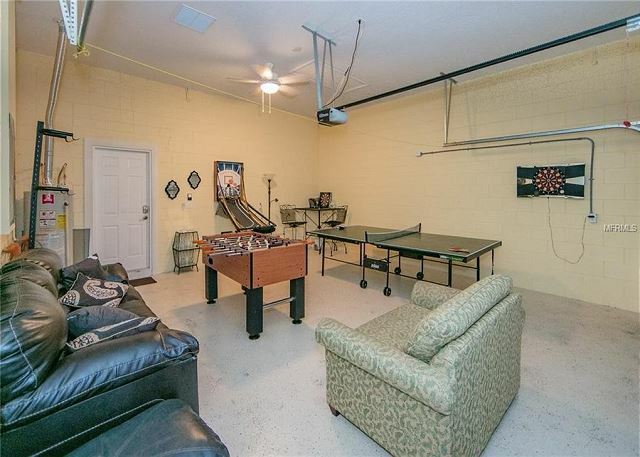 The garage also has a games room wth ping pong table and foosball table, basketball game, dart board and furniture to sit and relax.